Think back to the last time you got up on the blocks, dove into the water for a big race, and completely choked. On a scale of one to ten, how much did you enjoy that experience? Umm, about minus fifty, right? 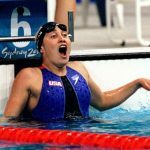 Choking is a common and misunderstood aspect of competition (and even practice), whether you are an age grouper or Olympian. 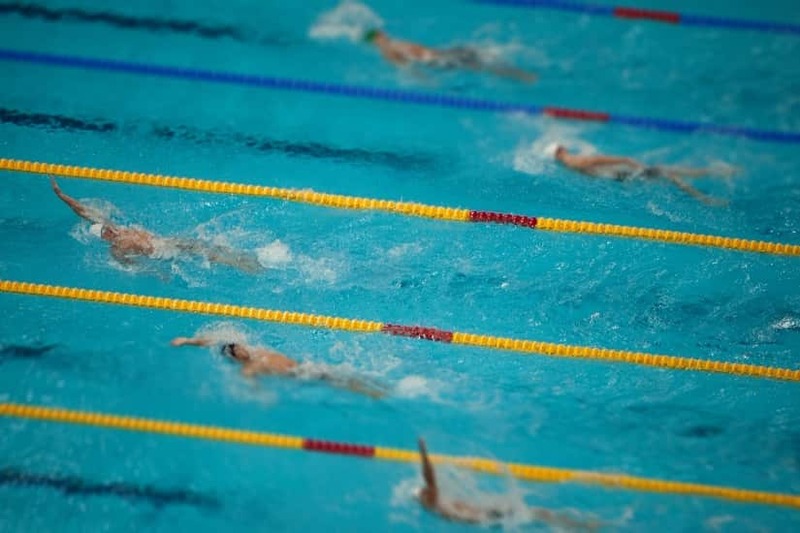 It sends our performance crashing across the pool deck, particularly in moments where literally the only thing in the world we want is to swim really, really fast. Often, when things go sideways on us and we tense up and blow our big chance we assume (mistakenly) that this is just the way it will always be for us. 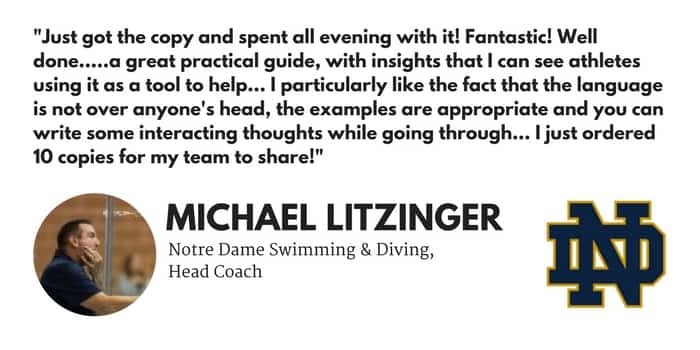 That getting freaked out, worrying too much about what others think, and choking is who we are as swimmers. There’s a better way to mentally approach your racing. A way where you can race to the full extent of your ability. Where you can race with confidence. Where you can race with a clear mind. Maybe you have tried some different mental training techniques before. But you gave up on it because you didn’t really see the benefit. 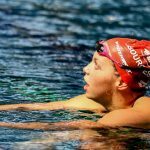 That’s where Conquer the Pool: The Swimmer’s Ultimate Guide to a High-Performance Mindset is different. 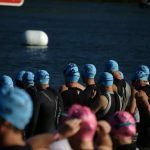 From beginning to end, it’s been designed to help you master your goals, your practices, and of course… your races. 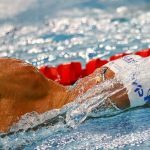 In terms of helping you to conquer the dreaded choke, this mental training workbook will give you the tools and techniques necessary to master your anxiety levels so that you can race your best when you want it most. 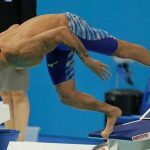 Learn how to avoid choking by figuring out exactly what kind of emotional state propels you to those high-velocity performances—and perhaps just as importantly, which ones don’t. 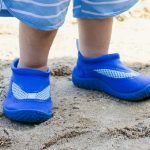 How to use visualization to master the “fear of negative evaluation”—that worry we have of disappointing others, including our teammates, friends, family and coach. That the way to get calm isn’t to follow our instincts and power through those stressful situations, but to actually slow things down. How this little journaling activity—done whenever you are experiencing excess anxiety—can help boost confidence and throw a bucket of cold water on anxiety. 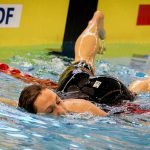 How to use self-talk to dial things down and keep you focused on the things that promote faster swimming. How to build a deadly pre-race routine, and much, much more. 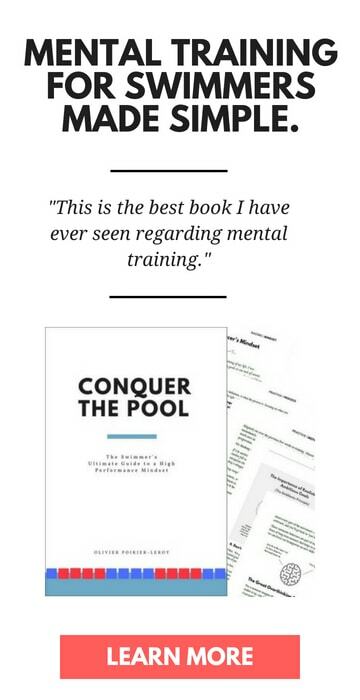 The book comes with page after page of choke-busting techniques and tools that will get you swimming faster than a buttered-up tech suit on race day. These are just some of the things you will learn in one section of Conquer the Pool. 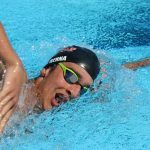 On top of that, there are the goal setting and practice sections that will help you create ambitious goals (that are also realistic), and give you the tools necessary to crush it in practice, giving you everything you need to slap your personal best times around like they stole your lunch money. 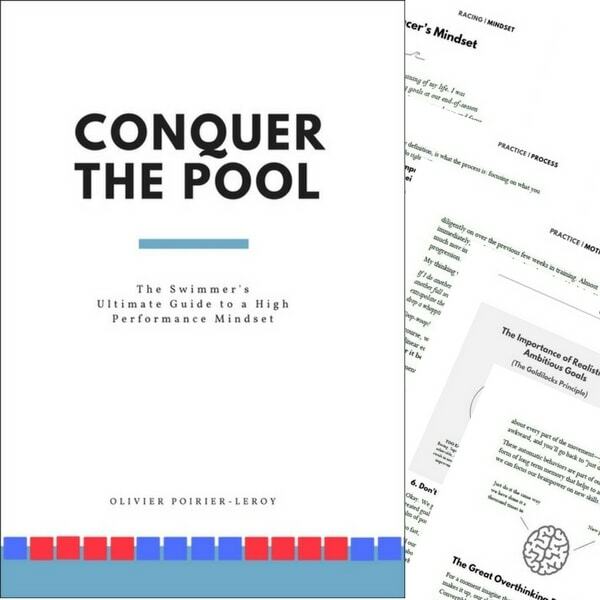 Conquer the Pool was also developed with the feedback and input of 200+ top USA Swimming and NCAA division I head coaches, including a whole bunch of Olympians, former world record holders, and NCAA champions. Whoa, whoa—fair enough. You want to get things moving, and you want to get them moving five minutes ago. 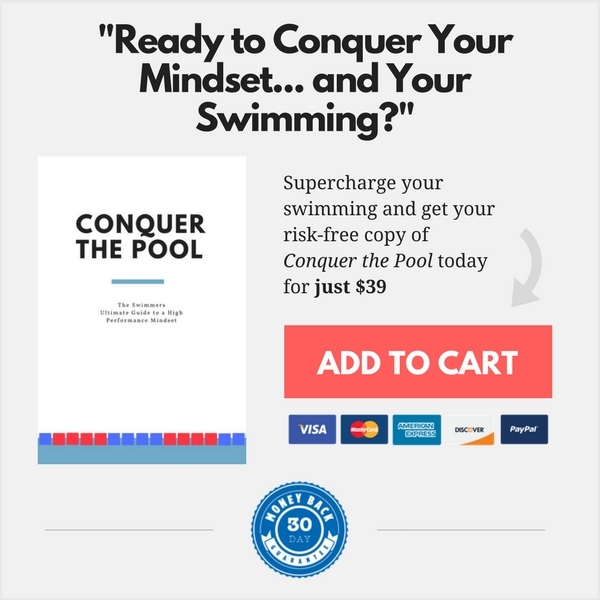 Click on the image below and it will add one copy of Conquer the Pool to your cart.